We are really excited to announce that we are launching a brand new competition! We’ve teamed-up with the very talented jewellery designer Morgan from the Lovely Raindrop and we’re giving away one of her beautiful creations. We love intricate and unique jewellery pieces here at Style Doctors as they can add that last finishing touch to your outfit without overpowering the look. To be in with the chance of winning this beautiful sterling silver raindrop necklace tell us what you’d style with this piece. My name is Morgan and I am the owner/designer of The Lovely Raindrop located in Portland, Oregon. We as a state are known for our rain and it is quite lovely hence the name The Lovely Raindrop. My family and I are all Oregonians born and raised. The Lovely Raindrop is a family business, designed to sell quality items at affordable prices. We specialise in dainty, simple, minimalist jewellery pieces. We take pride in our customer service and providing our customers with 100% satisfaction with their purchase. We hope you find something you love. 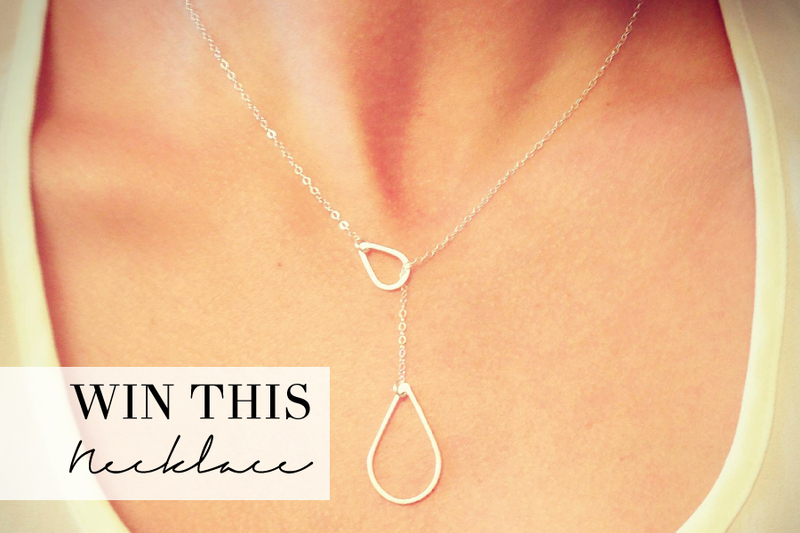 The piece is a delicate sterling silver necklace that is inspired by a raindrop. Visit The Lovely Raindrop shop here.